For all those who are tired of looking at cluttered office drawers every day, Osco brings the perfect solution. 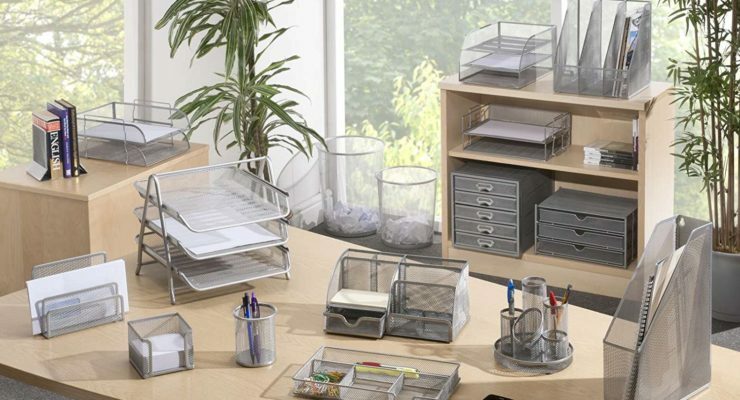 Osco desk drawer organiser is a high quality and stylish looking mesh product which not only helps you place office stationary and documents in order inside drawers but also looks good when placed on the table itself. It consists of 3 small bins, 1 long bin and 1 extra long pen and pencil compartment to accommodate all kinds of odd sized office supplies. The drawer organiser has a simple and elegant look and is made of industrial metal construction for a sturdy performance.